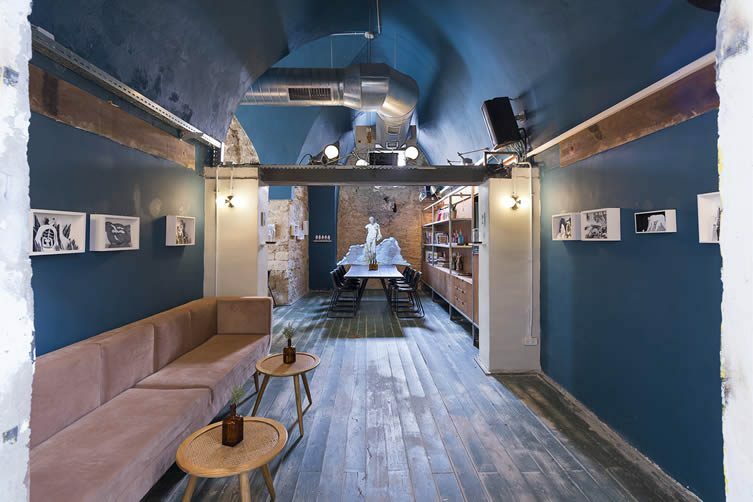 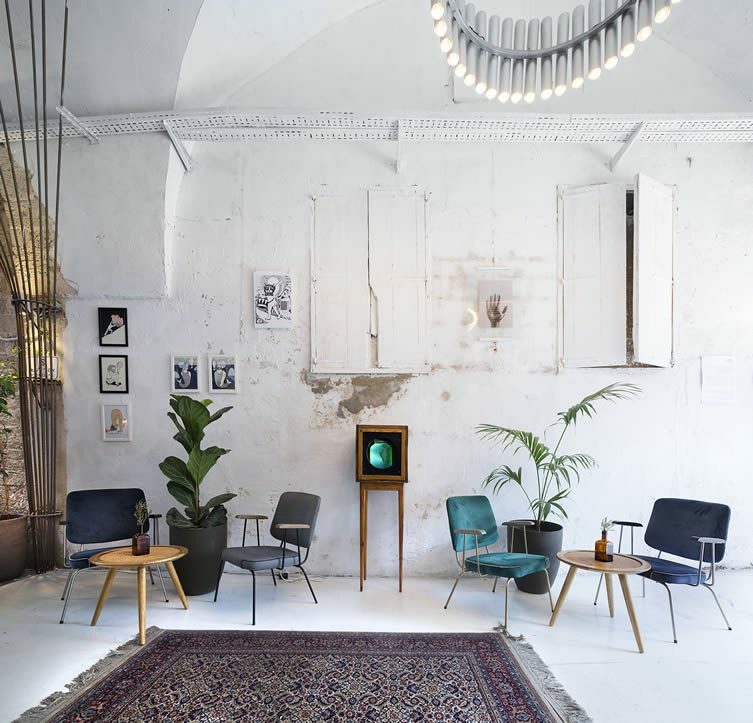 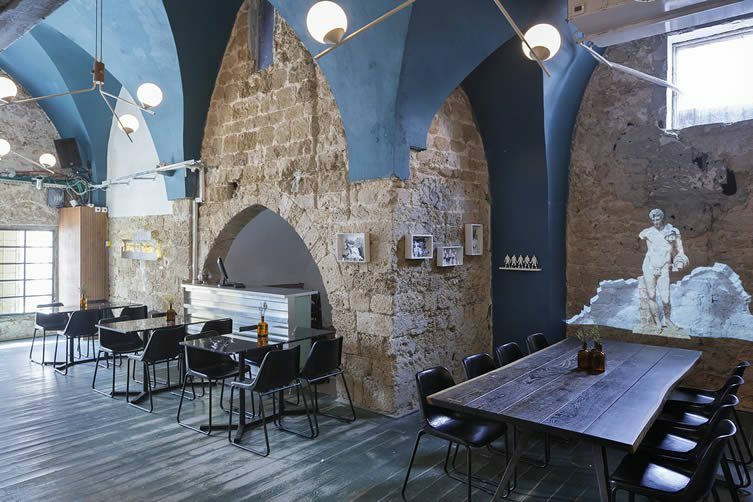 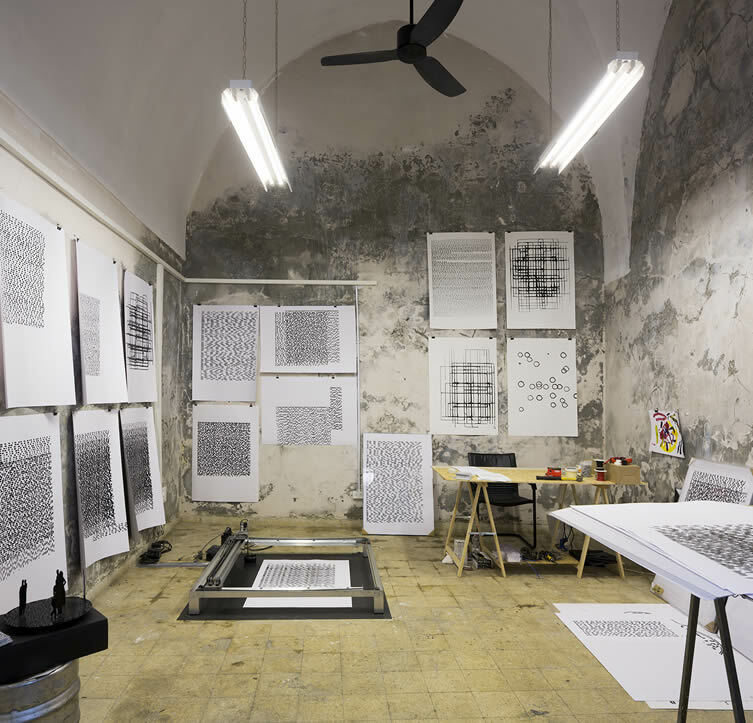 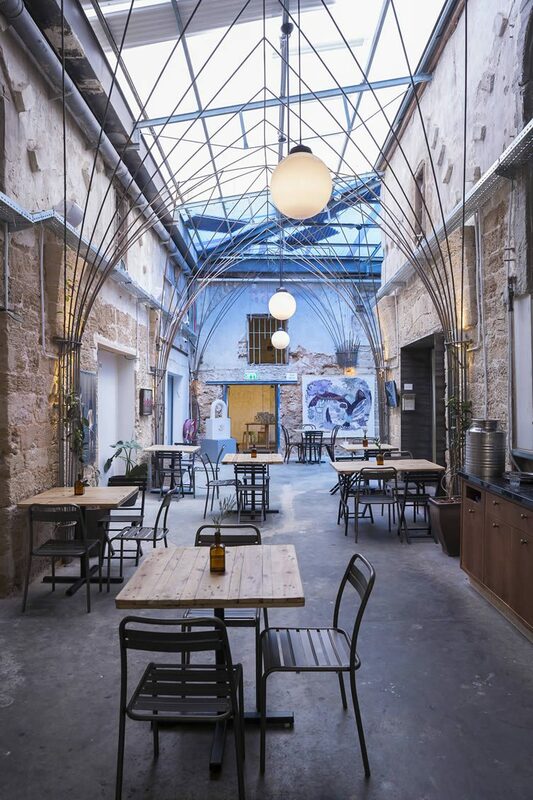 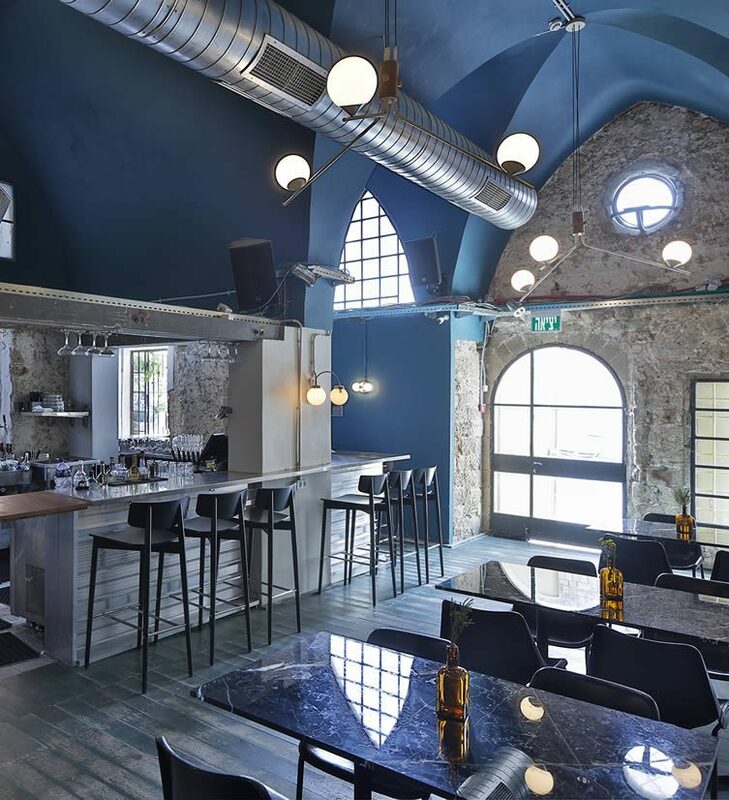 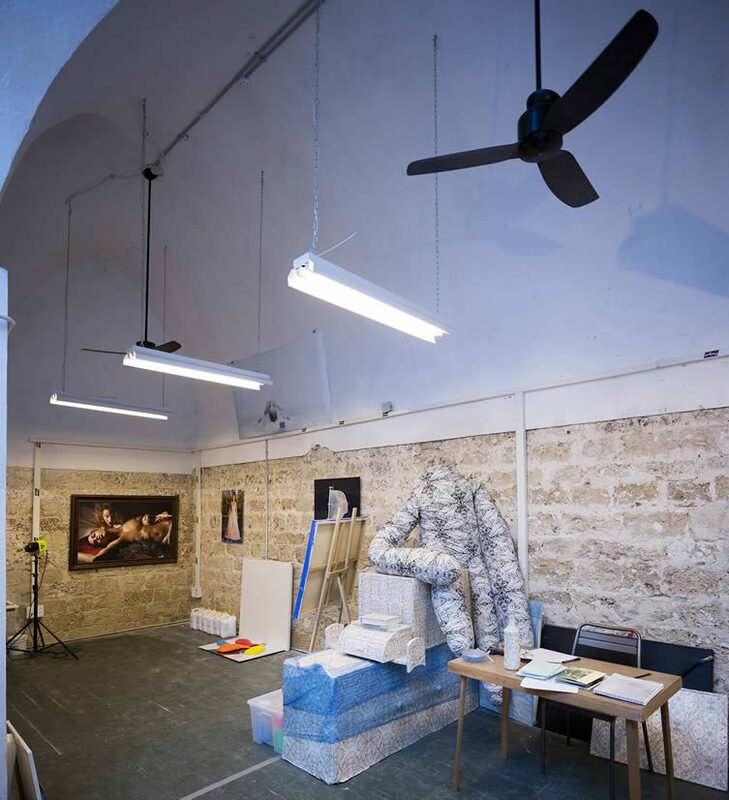 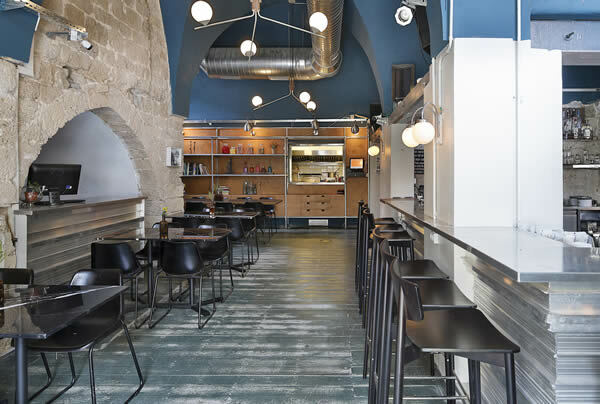 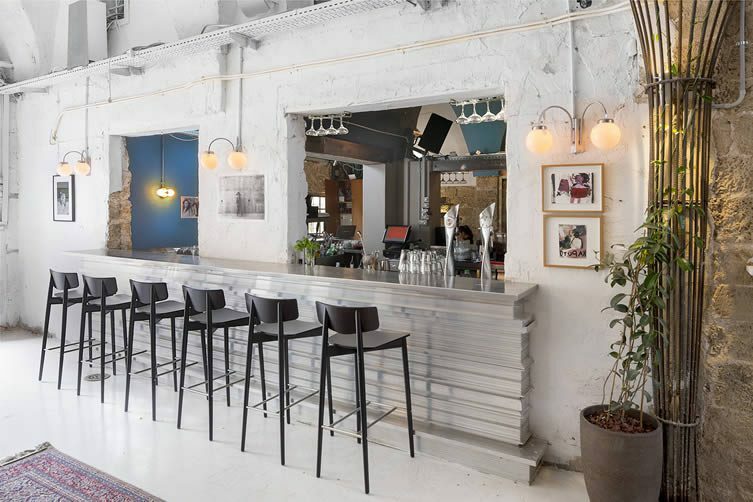 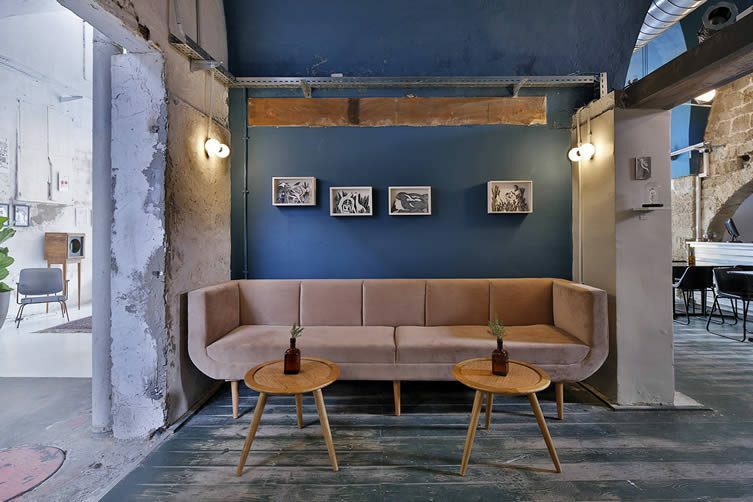 Located in the heart of Tel Aviv’s ancient port, Jaffa, Beit Kandinof is a beautiful new bar, restaurant and all-round cultural space; creatives’ studios and art space set within a historical building that remained largely untouched throughout Israel’s wars. 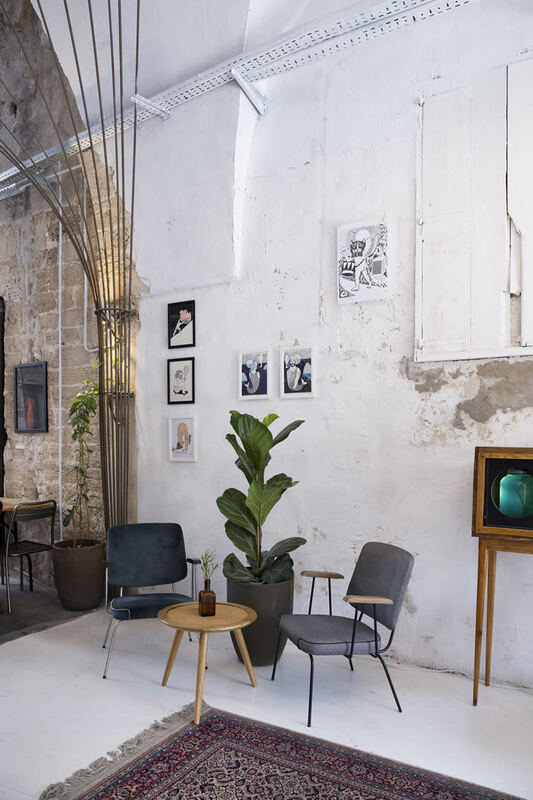 Designed by Lotan Singer and Gilad Zaafrany of Tel Aviv studio OPA, inspiration has been culled from the surrounding area’s strong-spirited local creatives, and the long and storied history of the building itself — minimal interventions having been made, the majesty of the remarkable property retained throughout. 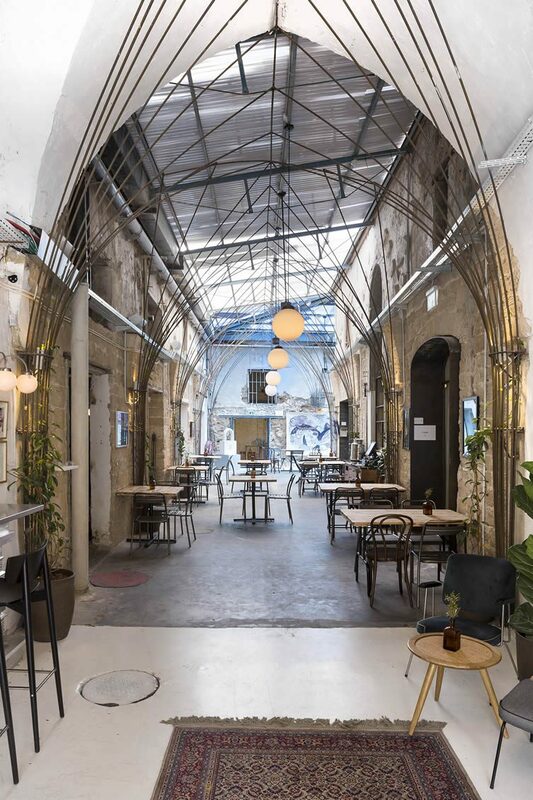 Quite the cultural melting pot, dreams have come true for owners Amir Erlich and Arianna Fornaciai — so many points of inspiration now coming together under one roof at the palatial building they’d found. 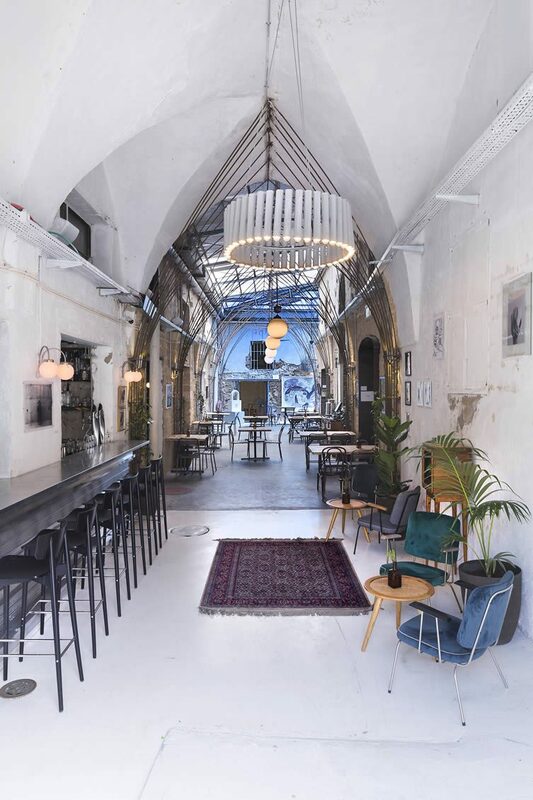 With a bright white entrance greeting those who convene in this spot, Beit Kandinof combines creative minds and talent; diners can dig into light and healthy dishes; craft cocktails complement creative classes and lectures; and a rotating exhibition programme showcases modern artworks elegantly juxtaposed by the building’s original exposed stones and raw aesthetics.